What are the best 3D scanner apps for iOS and Android? How do 3D scanning apps work? 3D scanning apps are becoming increasingly popular for 3D reality capture. 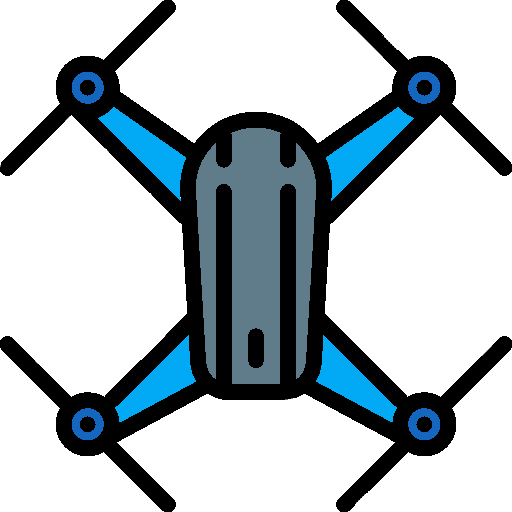 Three-dimensional capturing is often overshadowed by 3D printing, as it is mainly geared towards professional uses and is not as accessible to consumers as 3D printing. 3D scanners can be expensive and complex to operate, and only a few makers are equipped with 3D capture hardware- but this could change! Indeed, more and more companies are making 3D scanning accessible by creating 3D scanning apps that can turn almost any smartphone into a pocket-sized 3D scanner. These 3D scanning apps are based on photogrammetry, a 3D scanning technology that creates 3D models out of 2D photos. In photogrammetry, a camera takes pictures of an object from different angles and then a software generates a 3D model of it by “stitching” the images together. Since smartphones are now equipped with high definition cameras, a growing number of companies are developing 3D scanning apps– leveraging the photogrammetry technology to turn smartphones into 3D scanners. In this article, we provide a comprehensive list of the best free 3D scanner apps available for iPhones and Android smartphones. Further below, information can be found on these 3D scanning applications and how mobile 3D scanning works. Our table shows our selection of the best 3D scanning mobile apps for iOS and/or Android devices. They are listed by alphabetical order. Qlone is a smartphone 3D scanning app from EyeCue Technologies. Three-dimensional scanning technology is based on photogrammetry, a technology that reconstructs a person or object in 3D from 2D captures. By definition, photogrammetry is “the science of making measurements from photographs”, but in the case of 3D scanning, photogrammetry creates 3D models by feeding images into a computational model. A regular smartphone camera takes photos of an object, and then the software takes care of the rest by stitching the pictures together. With the photogrammetry 3D scanning technology, the final 3D scan features color and texture (unlike other technologies which only capture shapes for example). Note: more information about 3D scanning is available in our 3D scanning technologies article. Most 3D scanning apps are based on the photogrammetry 3D scanning technology. The user takes several pictures of the object from different angles (usually 360° around the object) with the 3D scanner app. 3D scanning apps provide on-screen tips and guidance to help users take the pictures properly and produce an accurate 3D model. The app then processes these pictures, either locally or through a cloud service, and “stitches” them together to form a 3D model. The 3D model can then available for export or editing using additional 3D software. In some cases, users may also 3D print their 3D models. All of the 3D scanner apps are free to download from the App Store (iOS) or Play Store (Android) depending on the smartphone’s operating system. These 3D scanner apps are free and do not require any external hardware or additional purchases. The following user-friendly 3D scanning apps can simply be downloaded on iPhones or Android smartphones. 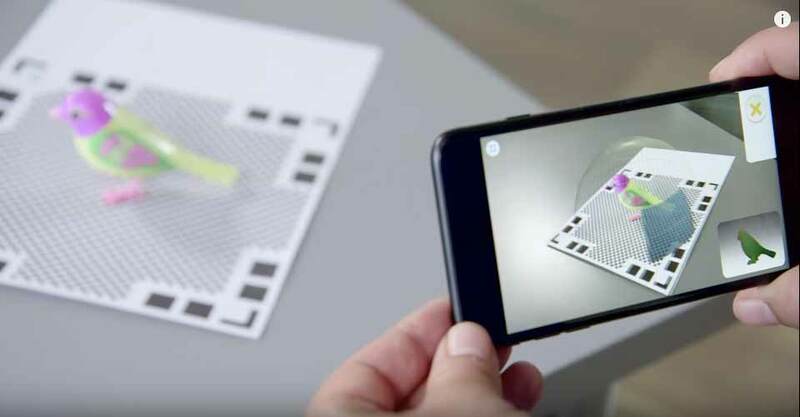 In order for the user to use Qlone, a special black and white paper mat needs to be printed (similar to QR code), on which the object to be 3D scanned will be placed. Qlone offers a useful guiding system; a grey dome surrounds the object and lets the user know which angle they need to capture next. The app generates the results locally (without going through a cloud platform) and almost in real time. Users can easily share 3D scans via social media apps such as Facebook and Whatsapp. Exports to Sketchfab or Shapeways cost $0.99 per 3D scan. Scandy Pro for iOS is a free 3D scanning app that turns iPhones (X, XS, XS Max or XR) into full-color 3D scanners. Within the app, users can capture 3D scans and edit them with crop, decimate, and smooth tools. Furthermore, the 3D scans are easy to export (.PLY, .OBJ, or .STL) and/or upload directly to Sketchfab. Users are given a free mesh save every week, but may purchase individual saves or subscriptions for unlimited saves. The Scandy Pro app is free and receives frequent updates. Scann3D, an application that is compatible with Sketchfab, requires the user to take approximately 20 to 30 photos of the object that they wish to 3D scan. The photos must overlap and be taken in a continuous circle around the object. An advantage of Scann3D is its fast processing time thanks to the instant reconstruction feature. This means that the photo processing is performed directly on the device and not on an external source like a cloud service. However, this may cause the battery to drain quickly. 3D Creator is Sony’s take at smartphone 3D scanning. This app was originally exclusively available for Sony XPERIA smartphones, but is now compatible with all Android 8.0 and up devices. With this app, users can easily 3D scan themselves thanks to selfie mode. Although these 3D scanner apps are free, they require additional hardware to be purchased. The most popular are the Structure Sensor by Occipital and the 3D Systems iSense. Users simply have to install the 3D scanning app on their smartphones and plug in the external hardware to begin the 3D scanning process. Most of these 3D scanner apps target a more professional audience. Bevel launched on Kickstarter on July 28th, 2015 and was successfully funded only two weeks later on August 11th. Bevel, a small dongle-like device, officially started shipping in April 2017 after almost 2 years of development. Initial feedback from the Bevel community has not been great– Bevel users face spontaneous app crashes and bug problems. This 3D scanning app doesn’t support 360° 3D capture, an issue that the parent company Matter and Form is dealing with at the moment. Matter and Form also manufactures a 3D scanner called the MFS1V1. 3DSizeME is a 3D body scanning app developed by TechMed3D, a Canadian company. This free 3D scanning app works with a Structure Sensor and targets medical clinics and professionals. The 3DSizeME app provides precise body measurements. TechMed3D can customize the app to specific professional needs and use cases. This free 3D scanner application is ideal for professionals working in-home services, such as designers, architects, real estate agents, etc. Canvas is easy to use as it only requires the user to walk around the room as the app creates a scaled 3D scan in real time, as well as providing exact floorplan measurements. Canvas allows users to save their scans on their iPads or e-mail them to friends or colleagues. This 3D scanning app also offers a Scan To CAD service for $29.95 per scan. This 3D scanner app offers great quality 3D scans by processing the photos on its cloud platform. itSeez3D is able to capture people in 3D, a process known as 3D body scanning, though the resolution is a bit inferior compared to resolutions obtained for smaller objects. itSeez3D offers unlimited scanning, but exports cost $7 each. The two paid versions of itSeez3D offer a limited amount of free exports and other benefits. The “Scale Up” package at $250/month provides up to 1,200 free exports per year. This application requires an Occipital Structure Sensor to operate ($379, available on Amazon). 3DF Zephyr, a 3D scanning software with an easy-to-use interface, enables 3D scanning with smartphones featuring a high definition camera. 3DF Zephyr creates 3D scans from photos and is capable of exporting the 3D scans in common 3D file formats. EORA 3D is an Australian Kickstarter project that was launched in October 2015. EORA 3D hardware is composed of a small laser 3D scanning device and an optional wireless turntable. Not many details about this application for 3D scanning are available at the moment, but we do know that it is able to export 3D scans to the VR world. 3Dignite Scanner is compatible with Minecraft, allowing users to see how their 3D scanned objects will appear in-game, and is capable of 3D body scanning (to some extent). Trnio, which was developed in 2013, is one of the first-released 3D scanning apps. The 3D scanning app used to be free but is now priced at $0.99. This 3D camera app is available for iOS devices at the price of $1.99. 3D Camera has received overall positive user feedback. It is possible to use 3D glasses for even more 3D effect when viewing the results. Bellus3D: the app itself is free, but requires users to pay in order to export 3D scans. For 3D days of unlimited 3D scan exports, the price is $7.99. For more accurate 3D scans, users may opt for the Bellus3D Face Camera add-on (see on Amazon). Heges: like Bellus3D, the app is free to download. However, the in-app option to export 3D scans costs $2.99. 3D Scanner Pro: this upcoming iPhone X 3D scanning app by Laan Labs targets professional use cases (real estate, architecture, advertising, etc.). 3D photo apps are a recent trend and, although they don’t provide actual 3D scans, they are definitely interesting tools to play (or work) with. What is 3D photo or spatial photography? Spatial photography is a relatively new technology, a hybrid between capturing a video and taking photographs. 3D photos combine the perspective of a panoramic photo, the three-dimensional features of a video and the staticity of a regular photograph. Fyuse is a free spatial photography app with millions of downloads that allows users to take interactive 3D photos. Fyuse is easy to use as it only requires users to tap and hold down a button within the app while moving around a person or object in a circular motion. 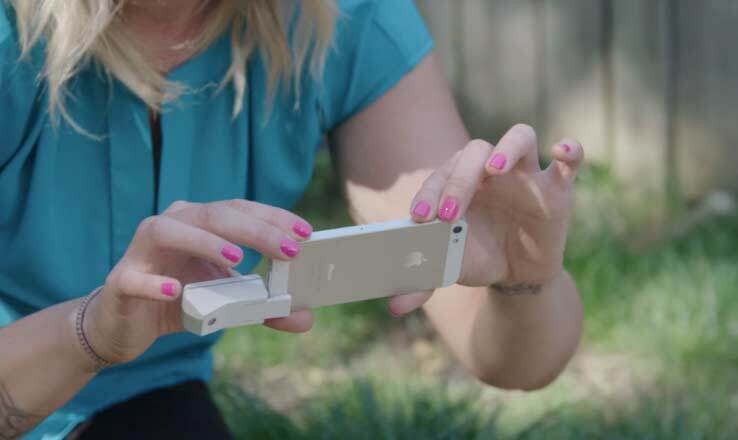 Life Lapse helps users take stop-motion pictures at the right angle to create an almost 3D picture in the form of a video. We decided to also include some discontinued 3D scanning apps for both iPhones and Android smartphones that still have an impact on the 3D scanning app market. 123D Catch, which was once the most famous 3D scanning mobile app, is discontinued since April 2017. 123D Catch was compatible with iOS, Android, and Windows smartphones. Although Trimensional is still available on the App Store, it hasn’t been updated since late 2014, so it is safe to say that the app can be considered discontinued. Seene is a 3D scanning app for smartphones that has been acquired by Snapchat. According to a statement on Seene’s website, the company is working on an “exciting new project” that combines virtual reality and 3D printing technologies. PIXELIO is a portable turntable that uses 123D catch, a 3D scanning app that was discontinued in April 2017. Although the project was hyped up at the beginning of its campaign, the creators of PIXELIO have yet to deliver on their promise. In this article, we provide a comprehensive overview of 3D scanning apps for smartphones that are currently available. The market is still too small and recent to create a ranking or leave out certain 3D scanning apps. Even if some of these applications and their accessories are able to create very decent 3D models, they aren’t as technologically advanced as actual 3D scanners can be. 3D scanning applications are a great solution for beginners, hobbyists and even professionals that don’t require ultra-high quality 3D scans. What are the best 3D scanners? Learn more about the 3D scanning technologies. Over 200 3D scanners are listed in our 3D scanning comparison engine.